Welcome to 2016 where wires are becoming a thing of the past. 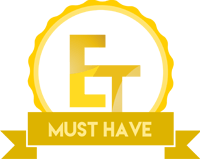 These days, it is easy enough to get yourself some decent wireless peripherals without breaking the bank. What’s even better is nowadays, they actually work just about on par with their wired counterparts which hasn’t always been the case. Some will still debate that wires are best and they may be right but with all the technological advances we see these days, interference between wireless devices is nowhere near as bad as what it used to be. 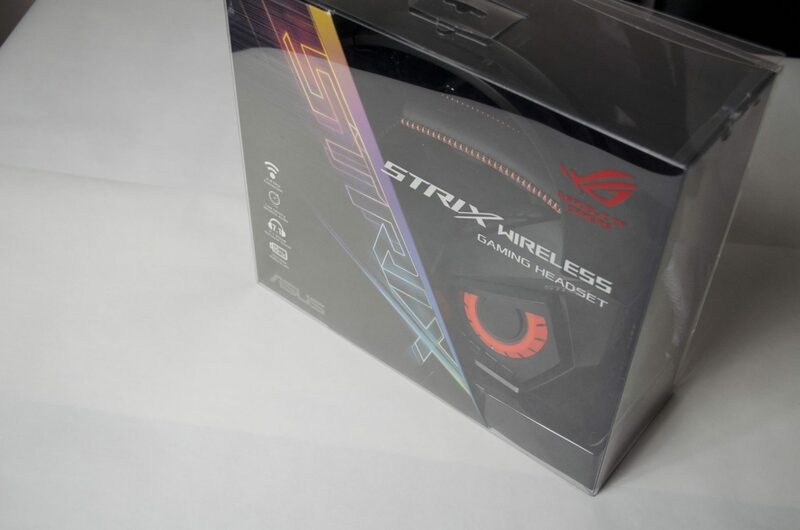 Today, we will be taking a look at the ASUS ROG STRIX Wireless Gaming headset. 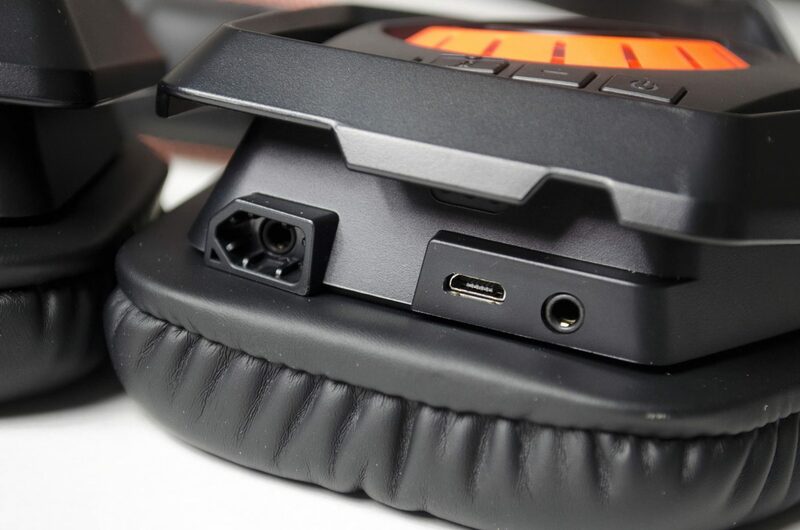 This headset features a small USB dongle that plugs into your PC to transmit the sound. It also features 7.1 virtual surround sound and a detachable mic which can be bent into place depending on your needs. Featuring a 10-hour battery life and full control of audio VIA Sonic Studio, ASUS has offered a great wireless headset in their ROG STRIX without completely breaking the bank. It is also worth noting that while you can make use of Sonic Studio, it is not mandatory and you can simply plug the headset in and get to using it. The ROG STRIX Wireless headset also features a 2.4GHz low latency connection so you should hear things as they happen! All in all, they look great on paper so let’s work our way through the review to see how they do in real world testing. The packaging gives us a great first-hand look at the actual headset itself so we can get a real feel for the aesthetics. The Clear box reveals on the headset on one side and on the back, users will find all the information they should need to decide if this headset will do what they need it to. 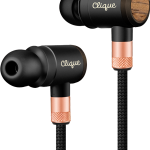 While this headset does feature wireless connectivity, it also features a standard 3.5mm auxiliary cable for those times when wireless just isn’t preferred. 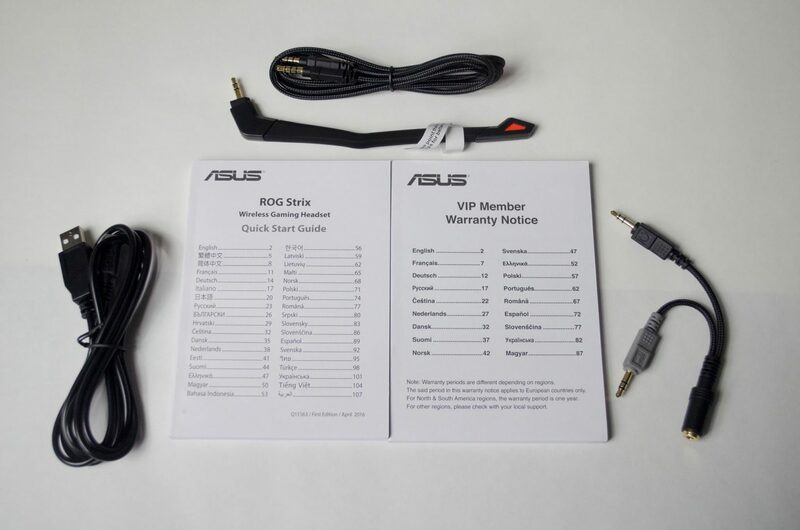 We can also see the detachable mic and the USB charging cable alongside a couple of manuals that also come in the box. 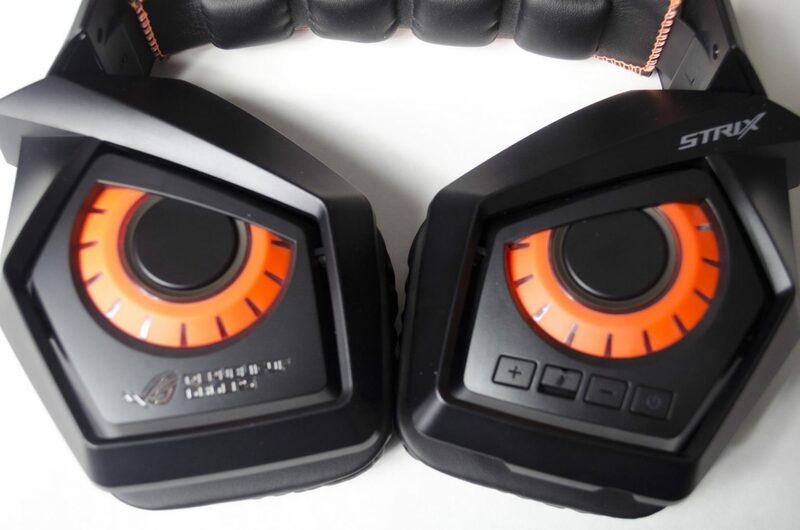 Following the STRIX design, when both ear cups are turned out, the headset looks like Owl eyes. 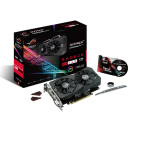 The black and orange theme is warmly welcomed over the standard colours a lot of companies use on their gaming products. 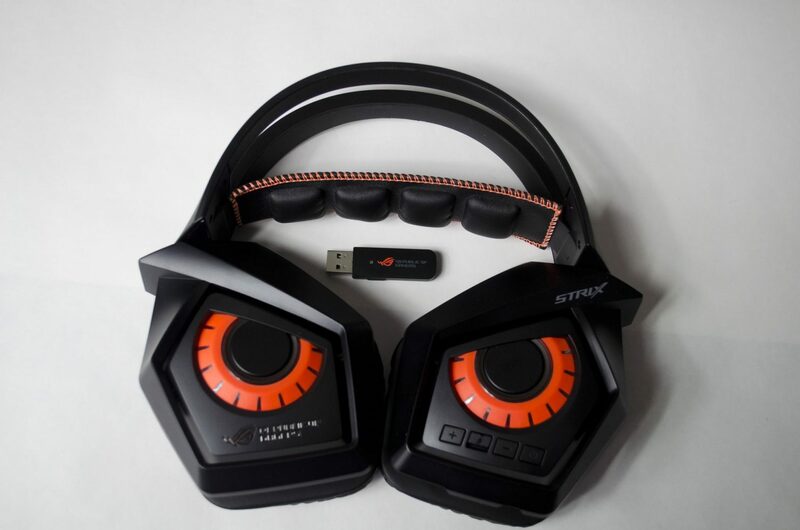 The STRIX Wireless headset is also quite robust and will give users that extra piece of mind knowing they are quite sturdy. As part of this design, the headband is not quite as flexible as a lot of other headsets but it still manages to open enough to fit on your head with ease. Having the outside of the earcups look like Owl eyes is a major plus from me. The orange accenting also helps it pop a bit which is nice and makes them look catchy without being over the top. 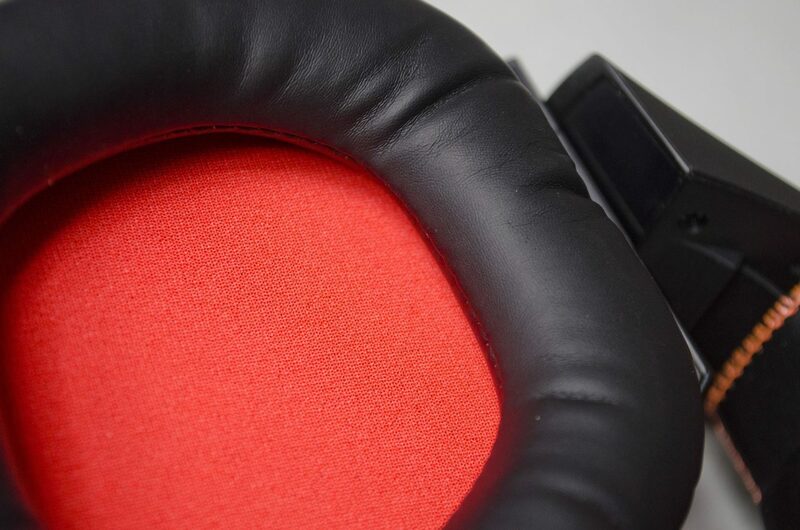 On the outside of the left earcup, there are also a few buttons that will help to make life much easier. 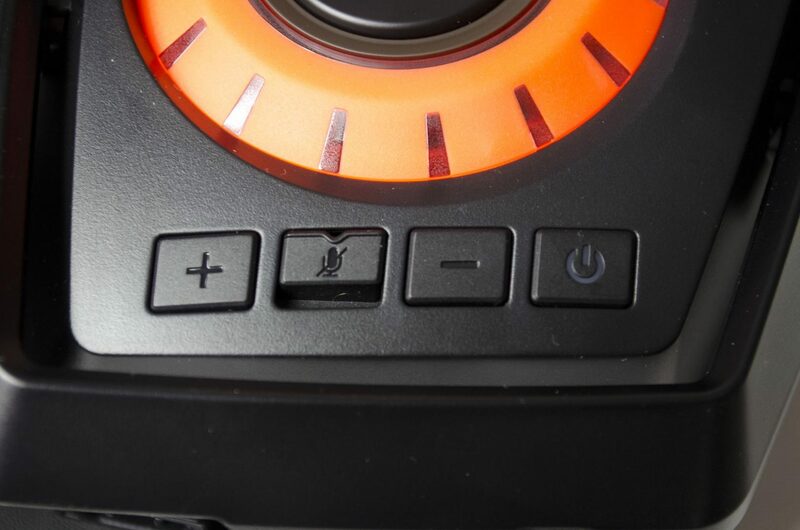 Here, we can see the power button, a mic on/off switch and the volume up/down buttons which will allow us to access the main controls we need while in-game with ease. On the bottom of that left earcup is where you will plug in the detachable mic, USB charging cable and the 3.5mm auxiliary cable should you want to go that route. While the headband may not be as flexible as others, don’t let that worry you. It still has enough bend in it to fit over most any head and it’s not going to break either. 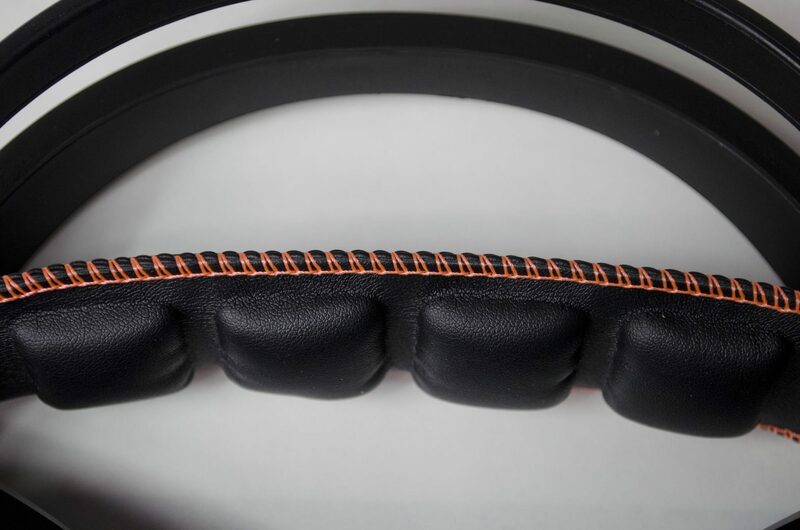 The padded headband features a nice black leather look with some orange stitching. 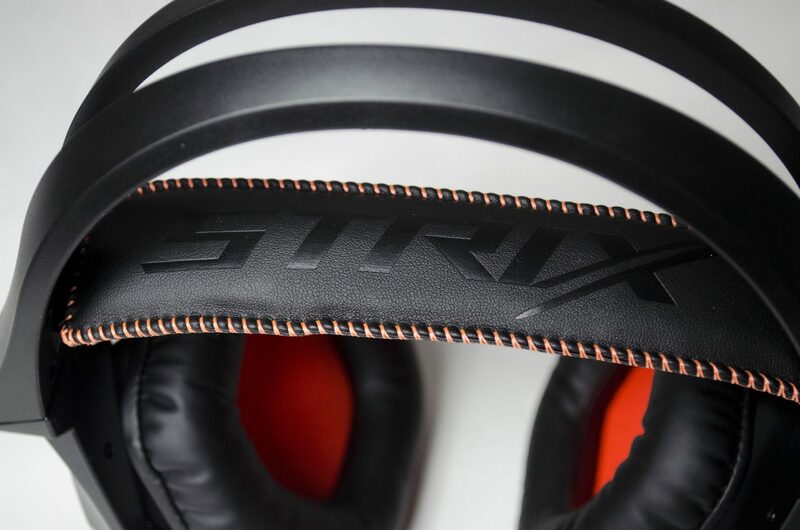 It also has a nice STRIX logo showing on the topside so there is no debate about what make this headset is. On the underside, there are 4 extra padded areas. I do find it odd that ASUS wouldn’t have just made the whole band with extra padding, rather adding these ‘bumps’ but it has worked out well for them and there is no need for concern wth them. 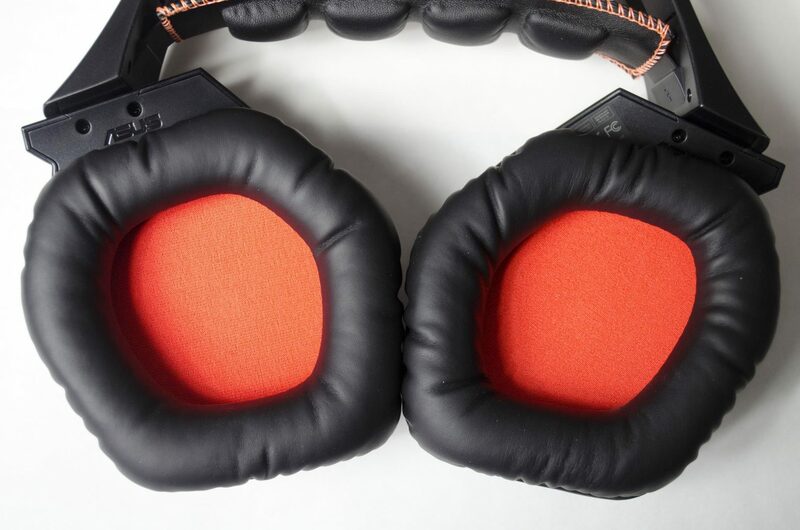 The earcups are over ear and feature a nice orange inside to go with the overall STRIX them. 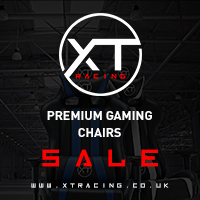 They also have a nice amount of foam padding around them to provide comfort for those prolonged gaming sessions. While they are definitely comfortable, things can get hot and sweaty when wearing these bad boy for a few hours. Though, in saying that, this is something that is expected of most headsets so isn’t really a deal breaker. The ASUS ROG Strix Wireless Headset has some pretty impressive performance for a wireless pair of cans. While you don’t have too, I would suggest on first install you open up Sonic Studio and have a quick play with things. In my case, I just turned the bass boost up a bit as it was lacking a bit for my tastes. 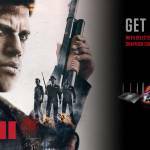 Turning the bass up not only gave a better listening experience for my Hip Hop music, it also helps in games by allowing you to hear footsteps and explosions better. 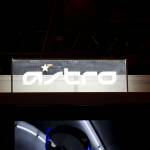 The ROG STRIX Wireless Headset offers a good range of sound quality across all levels. The amount of bass they have to offer is more than sufficient, especially for a wireless headset. Mids are right on point and the highs are quite crisp and clear and have little to no distortion, even with the volume turned all the way up. 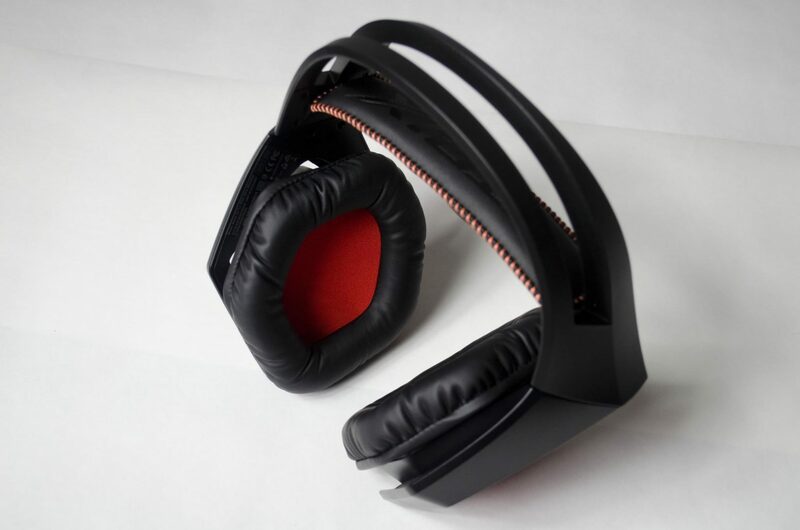 The overall volume of the headset is quite loud and while it is definitely fun, most of the time you will not need to turn the volume all the way up. 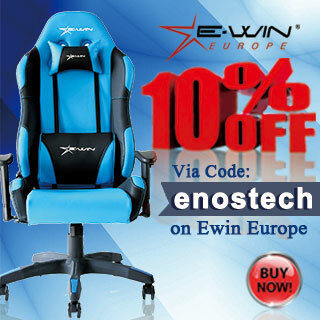 All of this also comes in handy for its main purpose, gaming! When gaming, you get to experience the full range of sound the game has to offer and can easily tell what’s going on around you. For instance, when playing overwatch, it’s easy to hear your opponents footsteps when you are trying to sneak around their spawn. You can also hear the fights going on in different places across the map, giving you the edge and allowing you to sneak up behind them. When it comes to battery life, the ASUS ROG STRIX Headset is rated at 10 hours and I would say they live up to that. While I didn’t use them for 10 hours straight, over the course of a few days I managed to get a bit more than 10 hours out of them when using them at around 60% volume for most of the time. As mentioned, using the software is not a requirement, but it doesn’t hurt anything to load it up and have a play. VIA Sonic Studio, users will be able to have a play with the EQ settings as well some other great options. Things like the Bass boost, Voice Clarity and Compressor can easily be turned on or off as well as being turned up or down. You can also control the mic volumes as well as manage the Virtual Surround sound aspect of the headset. The software is quite easy to use and you can also import and export profiles directly to the PC you are using so you don’t have to worry about losing them once you get everything set up how you want. 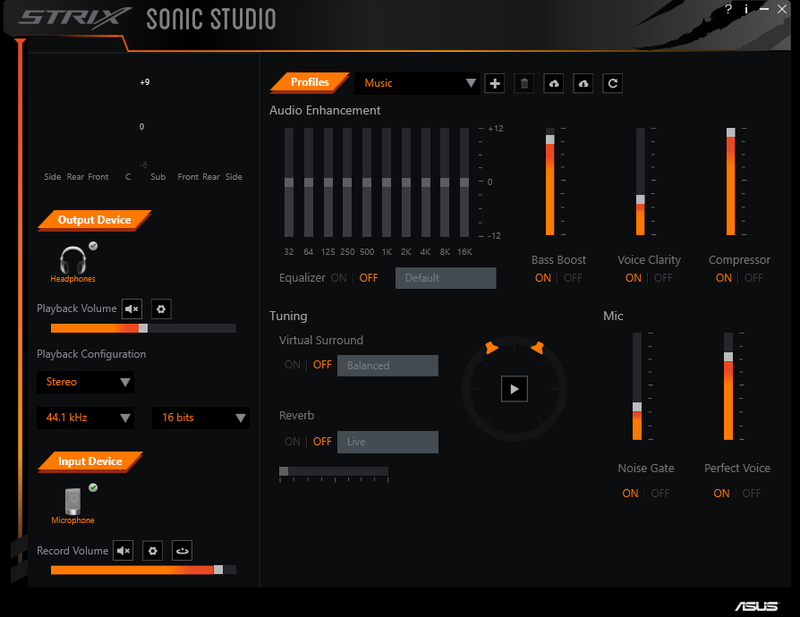 The Sonic Studio software is very easy to use and understand and will just help you get the exact sound you are looking for. I have to admit, even up until the moment I tried them out, I still have my concerns about using a wireless headset. 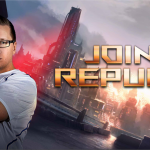 However, my concerns were quickly put to rest after just a few moments of using the ASUS ROG STRIX Headset. I thoroughly enjoyed my time testing the ASUS ROG STRIX Headset out whether it be for gaming or listening to music while I work. The amazing battery life really impressed me and was nice to be able with getting away with only charging them once a week for my needs. 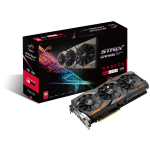 Overall, I was quite impressed with all aspects of performance the ASUS ROG STRIX Wireless had to offer. From the 10-hour battery life to the sound quality, this headset doesn’t let you down. It features a good amount of bass while still having good mids and highs. The overall volume can get quite loud when turned all the way up and even so, there was little to no distortion at the higher volumes which is great. While designed with gaming in mind, they also offer a great listening experience for those who love a bit of music. However, when it comes to gaming, they held up amazingly. Being able to hear footsteps so easily and really being able to tell if they were getting closer or further away was great. This allowed me to sneak around the opponents base a bit and sneak up on them from behind. I could also here where the fights were happening on the map which gave me the advantage of knowing which way to move. For those of you who like to use voice chat, you will be happy to know the mic is quite decent and your teammates should have no problem hearing you scream at them for being noobs! 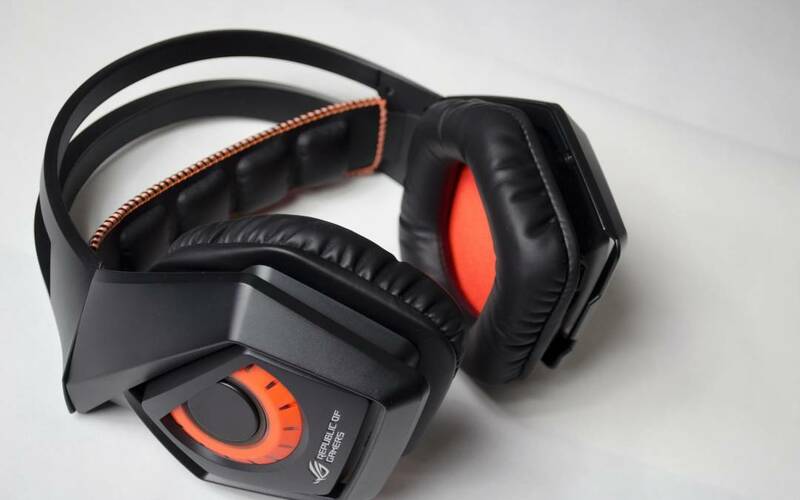 ASUS is known for quality, so it is no surprise how well designed this headset is. While the orange accenting and overall ‘Owl’ look to them may not be to everyone’s taste, I find it a refreshing change from the normal gaming based products we see these days. 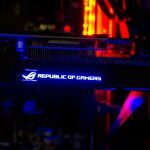 We are currently in an RGB phase and while I love some LEDs, it is nice to see products that still look great without them. When it comes to comfort, the ROG STRIX Wireless have a great amount of padding, both in the headband and on the earcup. While you can definitely tell you are still wearing a headset, it’s not uncomfortable, even after using them consistently for multiple hours. Aesthetics, aside, the ROG STRIX Wireless are also designed to pack a punch and they do, alongside offering some a very impressive battery life. Coming in at around £110 at the time of review, this is actually the cheapest wireless headset I have tested personally. 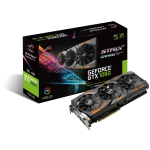 With that being said, they have thoroughly impressed me and have made me realize you can get a decent wireless headset without breaking the bank. Offering a good cross between music and gaming performance, it really is hard to go wrong with the ASUS ROG STRIX Wireless headset, especially at the price. These days, a decent wired headset will normally cost you about the same, so getting that wireless functionality without compromising performance is great. If these fall into your budget, they are well worth a look, even if you hadn’t considered going down the wireless route. 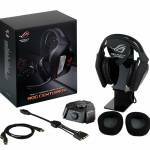 Many thanks to ASUS for sending in their ROG STRIX Wireless Headset for this review. 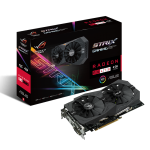 Want to discuss this review further, head on over to the ASUS ROG STRIX Wireless Headset thread, in the Enos Tech Reviews Sub-category on the Gaming Exodus forums!